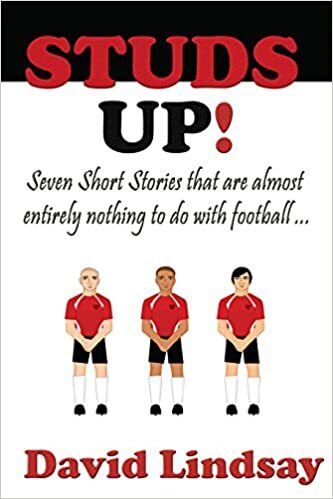 Studs Up is a collection of seven novellas and short stories. Each one tells a tale of ordinary people whose lives are crossed by a game we call football. The stories are not about football, they are about life and how, sometimes, football just gets in the way. So, we’re clear, are we? This is not a football book. Good, I’m glad we got that sorted out. 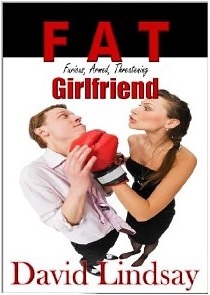 It’s a funny book though. It’s been written to make you laugh, and whether it’s an occasional snigger or a full-on rip-snorter, I hope that it does. Warning: Although there is no football contained in this book*, it has been processed in a factory that also processes football, and some cross-contamination may occur. Probably quite a lot, actually. It has also been written in an environment that has lines producing sarcasm, slander, comedic rhetoric, mild sexual innuendo, profanity and wild fantasy. Should symptoms such as ‘being offended’ occur, you should immediately seek the opinion of someone who will tell you to sit down and have a quiet word with yourself. *This is a lie pretty much up there at FIFA level.